SW. PY. 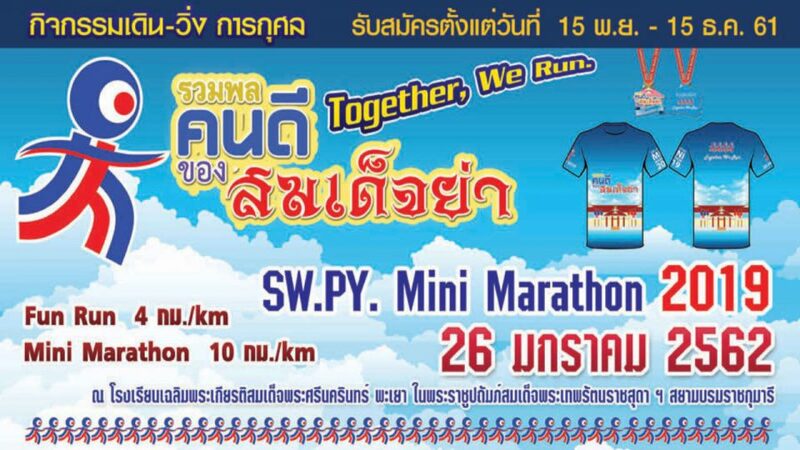 Mini Marathon 2019 will be held on 26th January 2019, Saturday at Chalermphrakiat Phra Srinakarin School, Phayao, Thailand. The categories available are 4km & 10km.